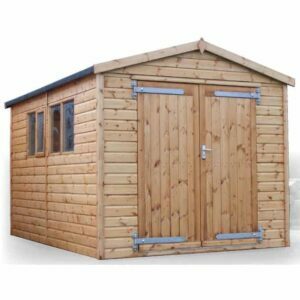 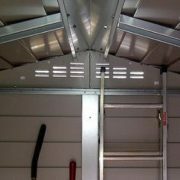 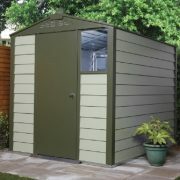 6′ wide PVC coated galvanised steel apex shed. 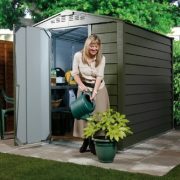 Maintenance free and with a 25 year panel guarantee. 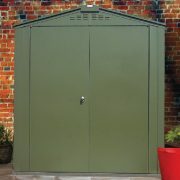 Secure key operated locking doors and fixed windows.